Where Ancient Wisdom Meets Modern Medicine. Our approach is open minded, combined with keen insight, helps you to restore balance by working to get to the root cause of your health concerns. 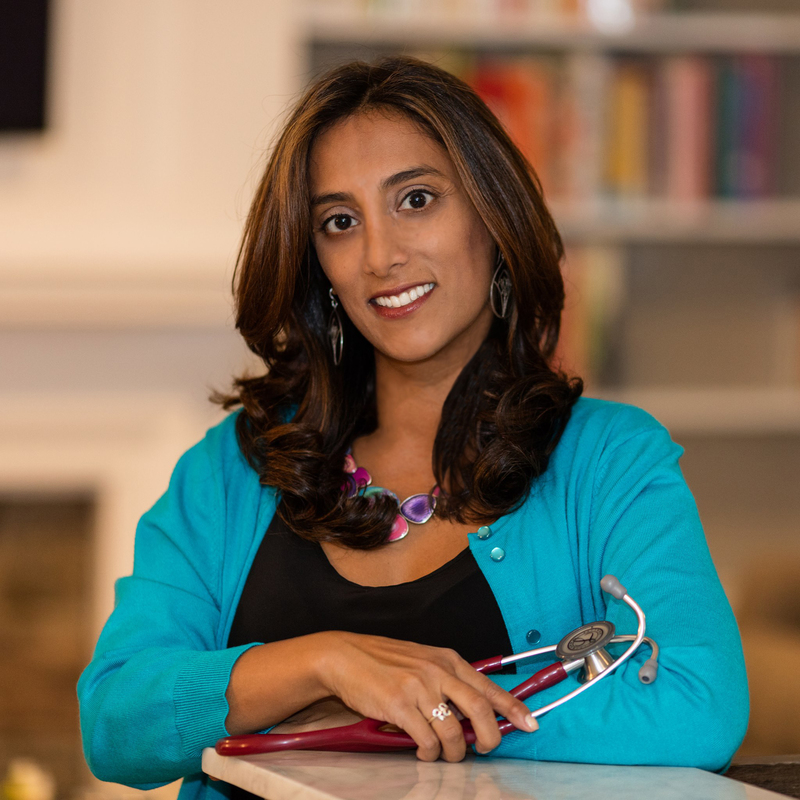 Minal Vazirani, MD is triple board certified in Internal Medicine, Pediatrics, and Integrative Medicine, making her uniquely qualified to treat anyone from infants to adults from an integrative and holistic medicine perspective. Dr. Vazirani is also a Certified Yoga Teacher and Reiki Master, and has further training in Ayurvedic Medicine, Meditation, Functional Medicine, and Clinical Homeopathy. Dr. V is a Clinical Assistant Professor at Rutgers-NJMS, has been published in peer reviewed journals, and is a highly sought after speaker both locally and nationally. Dr. V is the recipient of numerous awards, including the Humanism in Medicine Award, Most Compassionate Doctor Award, America’s Top Pediatrician Award, the I Love My Doctor Award, and the NJ’s Favorite Kids’ Doc Award. After completing her medical training and working in Manhattan, Hoboken, and other areas in North Jersey, Dr. V worked at Atlantic Health, and then moved to Barnabas Health to serve as their Medical Director of Integrative Medicine at the Ambulatory Care Center (ACC) for a number of years. Then, to better serve her patients in the most comprehensive and holistic way possible, Dr. V launched her own integrative medicine private practice. Dr. V sees patients in her private practice at the Barnabas Health Ambulatory Care Center once a week and the remainder of the week in Warren, NJ. And many more… just ask! I highly recommend Dr. Vazirani. It was so refreshing to spend so much time with a doctor. She recommended a number of tests for me, and spent a significant amount of time going through all the results with me to review our next steps. She’s so knowledgeable and friendly. Finally! A doctor who can help me feel healthier! I have known Dr Minal Vazirani for several years and would recommend her to my family and friends. She is an outstanding physician with profound knowledge of conventional and alternative medicine. She treated me for my chronic insomnia issues, using safe, natural and holistic approach with no side effects. Thank You Dr Vazirani ! What a night! My sister and I found your educational event about functional foods super informative. Your upbeat personality and can-do spirit was inspiring. Thank you for being a part of our health journey and helping us navigate the benefits of functional foods.